Linking up with Doodle Bugs Teaching for the . 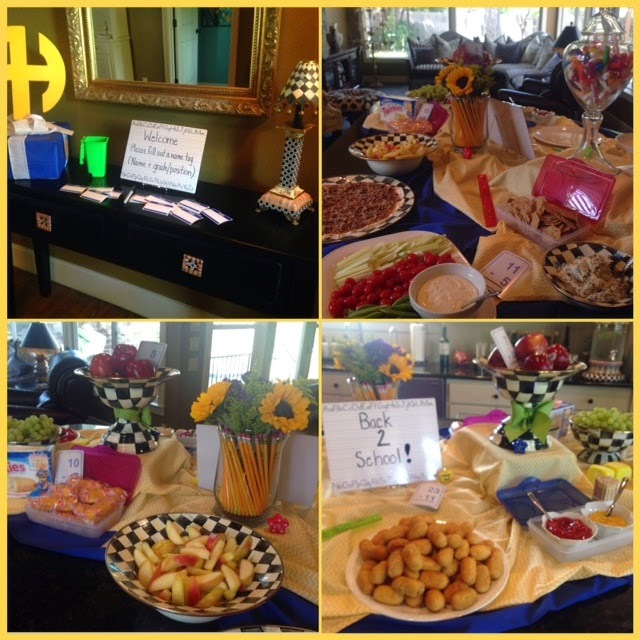 . .
On Monday, my school hosted a Meet & Greet for our new teachers. It was held at my house . . . forced me to finally clean! Super fun setting up the Back 2 School tablescape! On the menu . . . mini corn dogs, Twinkies, fruit, veggies, spinach artichoke dip, mini quiche, cheese, crackers and a yummy cream cheese carmel dip - brought my fabulous friend Barbara! This is the best ever! So easy and is great when you need a quick dip to take to a party! We change the Heath Bits ‘O Brickle Toffee Bits to crushed up Heath Bars. Last year, I made these to send to my daughter's teachers. They loved them! Anyway . . . the pencil boxes made great containers for crackers, Twinkies and the ketchup and mustard. Thursday, my team and I met with the new teachers to our district. We walked them through our email system, setting up their class website, and using Google Drive. To break up the "nuts and bolts" of required items, we threw in a fun quiz using Kahoot! 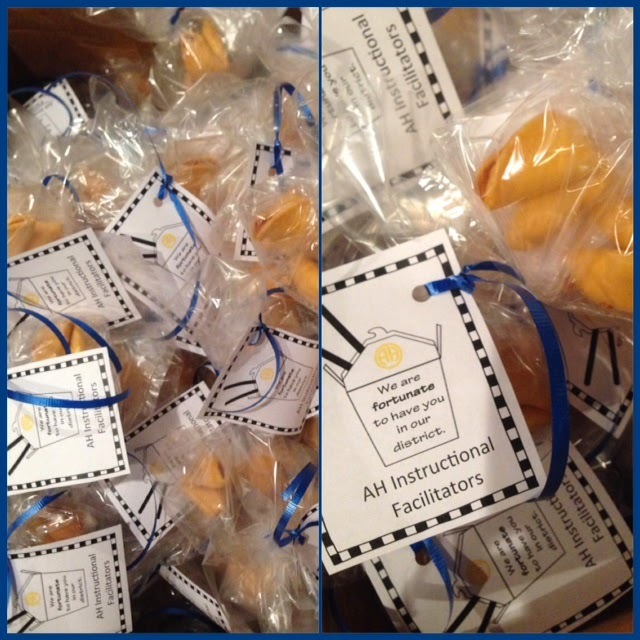 The night before, I made 60+ little treats to welcome the newbies to the district. Saw these at SAMs Club! Too fun! 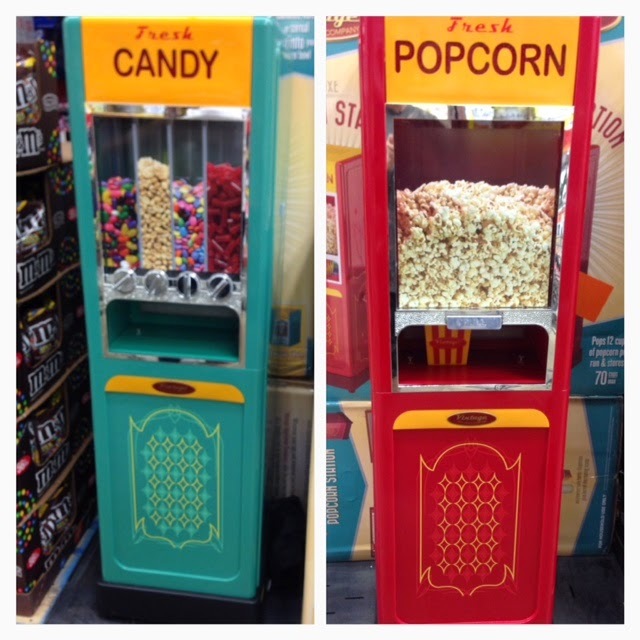 Didn't buy one, but would love the popcorn machine. How fun would these be in a game room? I was so excited to get a my zoodle maker!!! I even picked up some yummy zucchini on my way home only to find a part was missing from the box! Big bummer! Haven't had a chance to return it . . .
Got my first Stitch Fix box today! I just stared at the box thinking . . . What had my stylist put together for me?!!! Would the items fit?!!! Would they look good on me?!!! How much would the total box cost?!!! 2 shirts, 1 dress (way tooooo short, but can wear with leggings), 1 Chevron long skirt (super soft) and a necklace. Pretty cute. Just might keep them all. A few new outfits for back to school. Tomorrow, I'm off with Suzanne from Krazy Town and Meghan from Oh, Boy Fourth Grade to the Austin Blogger Meet Up! Gonna be fun! 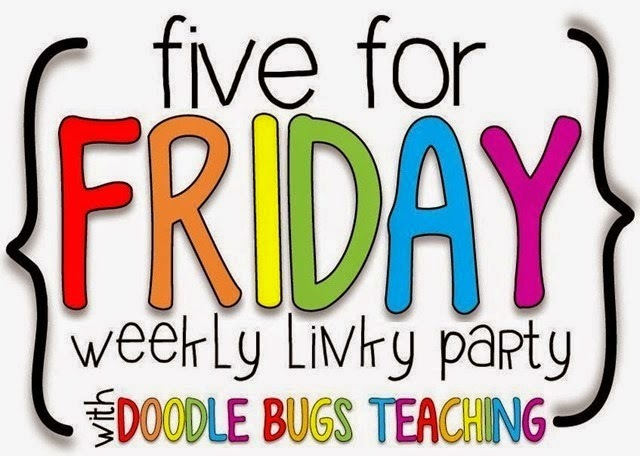 Head over to Doodle Bugs Teaching to see the other five for Friday posts!